Insurance surcharges pertain to a specified amount of money that is added to the costs and penalties of a fine, in this case, related to DUI offenses. These surcharges will be paid annually on a three year basis, and the amount of them can range from $1,000 to $2,000. They vary in relation to the gravity of the offense, and in some cases the amount of BAC in the person’s system. This is a substantial amount for a surcharge especially over its full course, and can be tough to add on to the existing costs of a DUI case. The full out cost of a DUI case is meant not only to punish the person and portray the severity of the crime, but also to deter future offenders from committing or repeating their offenses. Community service relates to work performed without monetary compensation by an individual. 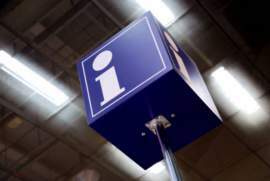 It usually relates to a court mandated service for an offender of a particular crime as a means of reduced sentencing. In DUI cases this can be public speaking in regards to DUI, or cleaning up trash on the side of roadways. The judge in a case can choose the organization for the individual to perform their hours of community service, or simply assign them somewhere their services are required if they are in a particular trade. The amount of hours imposed usually reflect the amount of time the person would have spent in jail, if that was the sentencing they avoided. Community service is a great alternative to jail time for offenders, and society. Having a license suspended can be a tough reprimand to get used to, especially if a person relies heavily on transportation. The ability to drive in the United States is a privilege given to its many residents, but when violated, can be just as easily taken away. 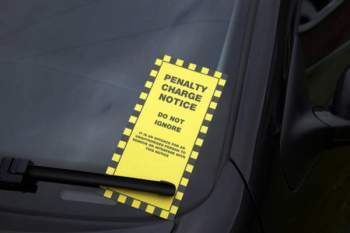 When a person who has had their driving privileges suspended chooses to drive illegally, they may face much worse penalties if they are caught. These penalties can include an increase in the term of their suspension or revocation of their license, as well as fines, and jail time. The violation of a suspension is seen as a very serious offense and that is clearly visible in the penalties one can sustain if charged with driving with a suspended license. DUI offenses are bad enough on their own, but certain factors can make them a lot worse. These factors are known as aggravating factors, and can increase the penalties of the offense significantly. Aggravated offenses exist in DUI for repeat offenders, or when certain circumstances are present. An example of these can be when a driver is driving under the influence of alcohol, while there is a child in the car. 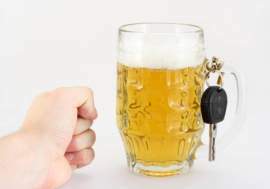 Another, more serious aggravated DUI offense is when the person’s actions result in an accident in which bodily harm was caused to another person, or even death. 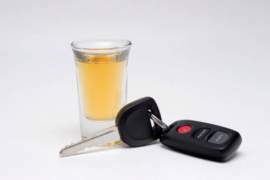 In these cases the person will most likely be charged with a felony DUI as opposed to a misdemeanor, as with the majority of aggravated offenses. Counseling is available as a means to assist those convicted of DUI offenses in getting through the entire process. This can help them not only deal with the pain and grief of the situation but also the steps necessary to deal with it. This can range from help with a DUI attorney, to helping them meet the measures of their probation and getting back on their feet and reinstating their license. Counseling centers for DUI offenders are available in many states, and in many areas of those states to make it easily accessible for those that are willing to attend, or have been ordered by a court to attend. DUI Courses are available to those that have been convicted of a DUI offense. They are offered in various places, and are usually court ordered. These courses can be given in addition to a grave offense, or be used in place of harsher sentencing. Most people can avoid jail time by not only attending these courses, but successfully completing them. In these courses they can learn a variety of things, from alcohol dependency, to the effect of alcohol on the human body and its impairment on drivers. These courses can vary in time length and day/week duration in relation to the offense. They can also vary in context by the severity of the DUI offense. They are a helpful tool in the betterment of DUI offenders, and preparing them for life after an offense. 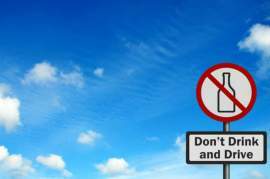 Drug offenses while driving are generally known as DUID’s. They pertain to anyone driving under the influence of a drug that can control a person’s nervous system and impair their driving skills. These drugs include the typical illegal drugs, marijuana, cocaine, and methamphetamines. However, they can also relate to prescription drugs such as pain killers. Because of the inability of these drugs to show up on a breathalyzer test, officers usually call in experts known as Drug Recognition Experts to help them. These experts have been trained to follow an examination of a driver to be able to determine whether or not they are under the influence of drugs. Officers can also make their arrests without these experts, if there are drugs present in the vehicle, or objects use to house or make drugs. 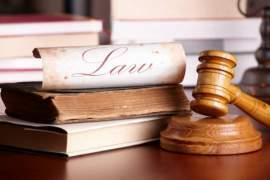 A probation period refers to the time period that a judge or court has imposed upon an individual following an offense. During a DUI offense, this time period can entail certain measures and guidelines by which the individual should follow. These could include alcohol programs, and meetings, and speaking publicly about the dangers of DUI. A person that commit’s a crime and violates their probation period is subject to further fines and penalties. Probation periods generally range from three months to a year, and can be even longer, depending on the offense. Since probations usually carry a series of conditions, aside from the obvious ones, it is important that offenders acquaint themselves fully with these conditions in order to avoid further incrimination and punishment.